Mark the 107th anniversary of the sinking by visiting the home of Titanic ticket holders, Ogden and Ruth Mills. 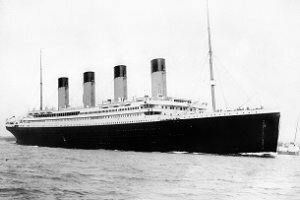 Hear tales of the tragedy in a setting remarkably similar to first class on the Titanic. This upstairs-downstairs special themed tour is led by a costumed guide. Reservations are required. Admission: $10/Adults, $8/Seniors & Students, $5/Friends of Mills Mansion. RESERVATIONS REQUIRED.